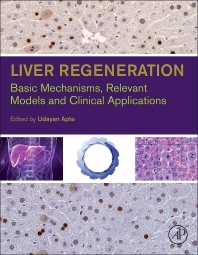 Liver Regeneration: Basic Mechanisms, Relevant Models and Clinical Applications presents cutting-edge information on liver regeneration research through an integrated, systems-wide perspective. The book addresses discoveries on hepatic progenitor cells, liver regeneration after chemical damage, and liver regeneration as a prime therapy for liver failure and disease. By addressing the urgent need for translating basic research findings into clinically relevant modalities and potential therapeutic applications, the book provides the data needed to improve liver patient management. Hundreds of full-color, graphic photographs and illustrations underline key elements and show researchers and students important aspects of liver transplantation, immunofluorescence, and other techniques used in liver regeneration. Chapter 18: Hepatocyte to Biliary Transdifferentiation: To Be(come) or Not to Be(come)? 18.3 When Does Transdifferentiation Occur? 18.6 What are the Different Sources of the New Biliary Cells? 18.7 Which Hepatocytes in the Liver Transdifferentiate into Biliary Cells? 18.8 What is the Extent of HBT? 18.10 Progenitor Cell Derived or HBT?